Despite being a relatively new travel card on the scene, the TD Aeroplan Visa Infinite is considered by many to be the best airline travel credit card out there and also one of the better overall travel credit cards. What makes this card so popular is the robust set of perks that it comes with. Be it the signup bonus or the insurance benefits, it has something for everyone. Before we take a closer look at this card, it should be noted that Aeroplan miles don’t have a constant dollar value. The number of miles required to redeem a flight depends on a variety of factors, including your desired destination and travel class. So, it makes it a little harder to judge the value of Aeroplan miles because context is everything. However, it’s much easier to compare how many miles you can earn using different cards if you make comparable purchases, so be sure to check out our Aeroplan miles calculator to see how this Aeroplan Visa measures up to its peers. 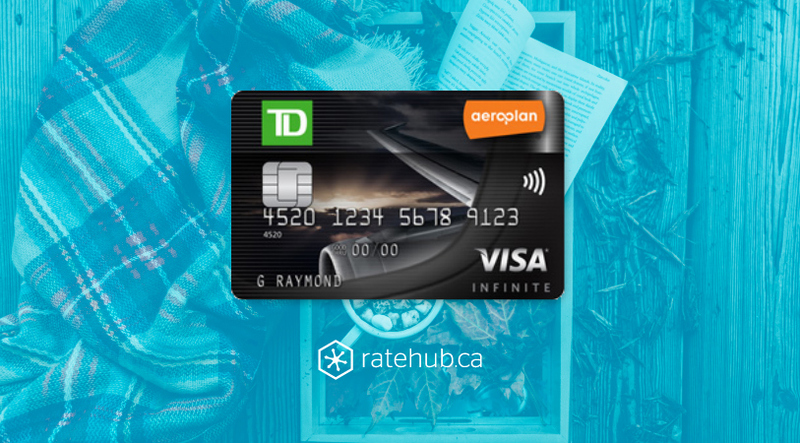 And now for the benefits: sign up for this card through Ratehub.ca and you’ll receive 15,000 Aeroplan miles as a welcome bonus with your first purchase and get the $120 annual fee rebated for the first year. 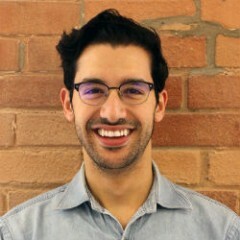 You’ll also receive an extra 5,000 miles on your anniversary, bringing your potential earnings to a massive 20,000 Aeroplan miles just for signing up. 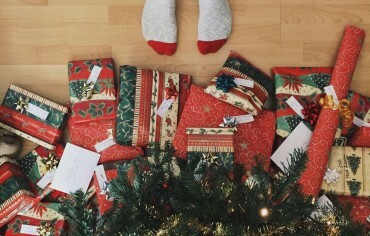 For every $1 in gas, grocery, and drugstore purchases, as well as certain eligible purchases made at aircanada.com, you’ll earn 1.5 Aeroplan miles. You’ll also earn 1 mile for every dollar you charge to the card everywhere else. 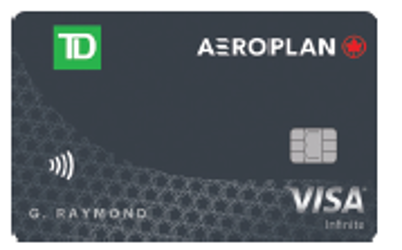 The Aeroplan program gives you the opportunity to earn miles twice if, when you use your TD Aeroplan Visa Infinite at partner brands or at certain online retailers, you also present your Aeroplan membership card. These points never expire so long as you’re a TD Aeroplan credit card holder. Other travel benefits include a complimentary Visa Infinite Concierge service, which is available 24/7 and offers advice and insights on everything from travel bookings to restaurant recommendations. You can also save up to 25% off the lowest available rates on qualifying car rentals from Avis and Budget when you charge the rental to your card. 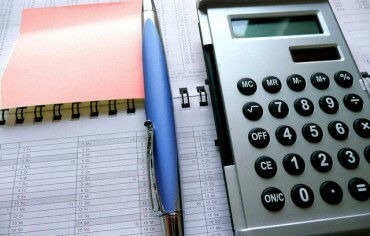 Can I Afford to Buy a Home With Credit Card Debt? What are Leveraged ETFs?